What do Snooki, Lindsay Lohan, and J. Lo have in common? The FTC put them on notice. 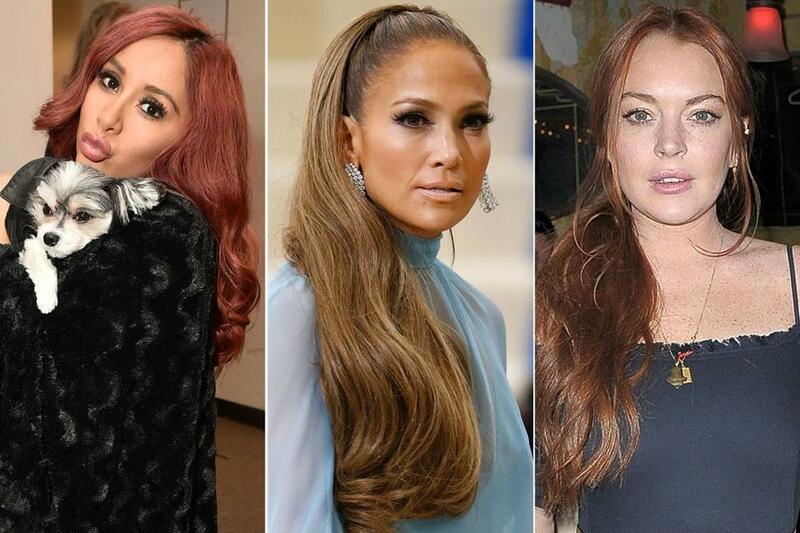 From left: Nicole “Snooki” Polizzi, Jennifer Lopez, and Lindsay Lohan all got in hot water with the Federal Trade Commission over Instagram posts. It was a moment that might have sailed through your social media feed without notice: an Instagram selfie taken by model and television star Heidi Klum. In it, her mascara-clad eyes peer mysteriously over a massive Dunkin’ Donuts cup. The image got more than 37,000 likes. It also got Klum a letter from the Federal Trade Commission telling her that if she had a financial relationship with Dunkin’ Donuts, she must disclose it in any social media postings. In April, the FTC announced that it had sent out 90 letters to specific brands, along with the celebrities, athletes, and other popular Instagrammers that those companies partner with on the social media site. The letters said that they would need to more “clearly and conspicuously” identify relationships when endorsing or promoting products. Through a public records request, the Globe procured copies of those letters, which were sent to 52 influencers and 46 brands. The Federal Trade Commission contacted a number of companies about social media posts made by celebrities on their payroll. Jennifer Lopez got a notice for posting a photo of her posing seductively with several bottles of Beluga Vodka. Nicole “Snooki” Polizzi got one for extolling the virtues of Flat Tummy Tea. Sofia Vergara’s image of an armful of diamond bracelets also caught the eyes of the FTC, as did Lucy Hale’s pictures of herself wearing star-studded shoes and pineapple emoji pants. The documents reveal the wide array of ways that Instagram influencers use the social media platform to promote brands, often in ways that may go unnoticed as paid advertising. Perhaps more important, it demonstrates that in an age when anyone can be a celebrity and everyone is online, anything can become an ad. Advocates say that influencers can be paid as little as a few hundred dollars upwards to six figures per post, based on the size of their following. It was the first time that the commission reached out to inform individual influencers about how they should communicate with their fans. 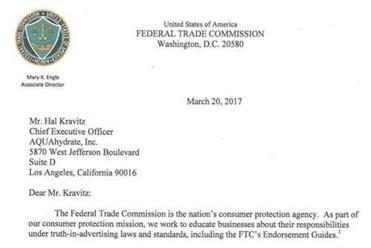 An FTC spokesperson said the commission did not have information confirming that any payments were made, and considered the letters educational in nature. No fines or other penalties were assigned. A set of accompanying guidelines also suggests that influencers prominently use the hashtag #ad at the beginning of their post. That’s in part because the FTC guidelines also suggest that when a high enough profile person is seen wearing, or drinking, or otherwise promoting a brand, that any reasonable consumer can assume that he or she is being paid. And in that case, the person may not need to disclose any relationship. Think of Tiger Woods wearing Nike, for example. So it leaves one to wonder: Is Heidi Klum a Dunkin’ Donuts fan, or a paid sponsor? Like so much happening in this space, the answer isn’t black and white. Dunkin’ Brands does have a “multi-platform partnership” with Klum’s show “America’s Got Talent,” and the company’s cups are prominently displayed on air. A representative for Klum did not respond to requests for comment. Both actresses namechecked the brands in their posts. Representatives for Hale did not respond when asked for comment, and Vergara’s publicist declined to speak on the record. Other images were far more explicit, like when Lopez, Polizzi, and Lindsay Lohan took highly stylized pictures of themselves with products. Lopez thanked the Beluga Vodka brand directly in her post. Polizzi included a 20 percent off shoutout for Flat Tummy Tea. And Lohan mentioned the Pinnertest website. Representatives for each of the three actresses did not respond to requests for comment. Former NBA star Allen Iverson also received a letter after posting an image of himself holding a IO Moonwalker Hoverboard, thanking the brand for the $1,000 gadget. Attempts to contact Iverson for comment were unsuccessful. FTC regulations stipulate that anyone who has a “material connection” to a company must disclose it in any paid endorsement. That can typically mean someone who works for the company or is being compensated to promote it, said Helland. And those payments can be in the form of cash or in-kind items like free products. The FTC is just beginning to scrutinize these practices. “I think that brands have come to realize that this is an efficient and effective way of marketing,” said Bonnie Patten, the executive director of Truth In Advertising. She said that new guidelines by the commission that require promotional hashtags to appear at the top of posts are a start, but they’re not enough. Patten said the FTC’s letters were an important move in the right direction.